By using the 100% Cotton Apron you can ensure that there are no nasty spills on your attire, while remaining comfortable. 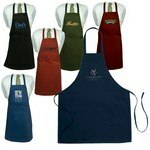 Embroider your company’s logo, on this apron, to increase brand visibility. 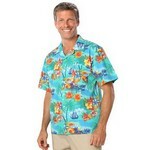 Our customized men's cocktail print camp shirt is stain and wrinkle resistant. 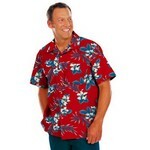 The personalized men's hibiscus print camp shirt is stain and wrinkle resistant. 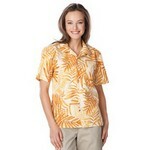 Our customized women's tonal print camp shirts is stain and wrinkle resistant. 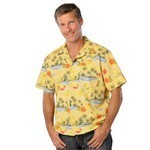 Our promotional men's tropic print camp shirt is stain and wrinkle resistant. 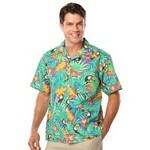 This custom logo men's toucan print camp shirt is stain and wrinkle resistant. 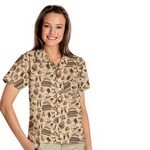 Our customized women's bistro print camp shirt is stain and wrinkle resistant. 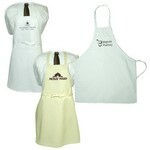 Now keep yourself clean while cutting meat in the kitchen using Butcher Apron without Pockets. This apron is made from 55% cotton/45% polyester 7. 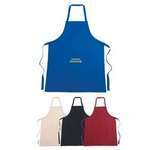 Gourmet Apron with Pockets is a trendy Apron to keep you clean in the kitchen. 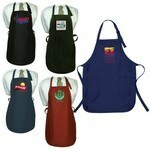 This apron is made from 55% cotton/45% polyester 7. 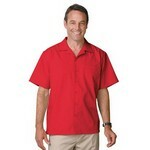 The personalized men's camp shirt is stain, wrinkle and crease resistant.